Every business today, regardless of industry, relies on leads and new business to thrive. Unfortunately, some fall prey to digital marketing firms that dazzle them with promises of sky-high performance. Their metrics are often inflated for a wow-factor, leaving clients stuck in an expensive contract without seeing a measurable return on investment in the form of sales. Digital marketing is like any other type of marketing—it’s a way to connect with and influence your potential customers. The real difference is, you connect with and influence those customers online. As part of any digital marketing strategy, Search Engine Optimization (SEO) is integral to driving customers to your business. SEO helps to increase the visibility of your website in search engines and aids in the success of your digital marketing efforts. SEO technicians are technology-driven and do not have an in-depth understanding of marketing and sales. Without a comprehensive marketing strategy in place, your company will not gain the same results as working with our team of experts. At Iffel International, we focus on business development first and then apply our marketing and sales skills to the technology required for a successful digital marketing and SEO strategy. We don’t just perform SEO work…instead; we deliver a FULLY integrated service that connects the dots between SEO and SALES. We become an extension of your team, functioning as your internet business development experts, helping you generate new business. We do this by integrating our Fractional CMO’s knowledge with SEO2SALES techniques to provide solutions based on profitable sales analysis. 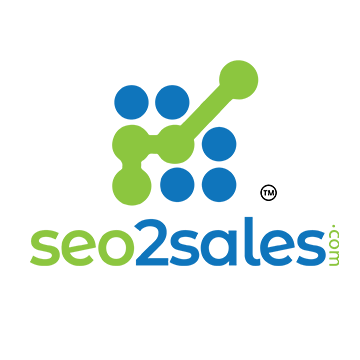 With SEO2Sales as your guide, your website will perform as both a sales agent and lead funnel. We offer a focused approach to investing your marketing dollars based on products or services that yield the most profit for the business. Additionally, we empower and transform your internal teams into sales and new business-minded professionals. You will gain a measurable approach to online marketing that has been proven to deliver tangible results across a wide range of businesses. Let us help you grow your business to the next level. We only work with one professional or business per city, per specialty and will not take on your competition. For example, if you are a podiatrist in Beverly Hills, we will not take on another competing podiatrist in the areas you commit to us to market to. Iffel International is a full service, award-winning, globally minded marketing firm located in the greater Los Angeles area. We provide an online marketing experience that focuses on sales. Our Fractional CMO’s provide calculated, creative and data-driven sales strategies that connect the dots between bold SEO strategies and sales. Our approach has delivered outstanding results for a wide range of businesses including medical professionals, attorneys, manufacturers, and e-commerce providers.